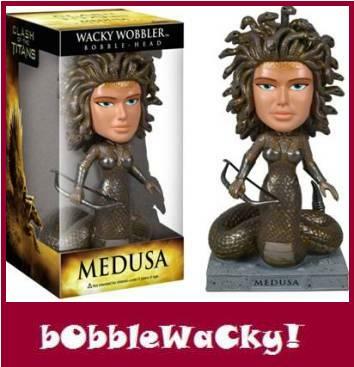 From Funko's new Clash of the Titans series comes MEDUSA. Once a beautiful maiden, Medusa was seduced in Goddess Athena's temple by Poseidon, the god of the sea. Hoping that Athena would protect her, Medusa prayed to her for comfort, but Athena would not hear it. Filled with disgust, Athena made sure no one would ever want Medusa again and transformed her into a snake-like creature and banished her to the Underworld forever. One look at the creature that Medusa had become turned any living thing into stone. 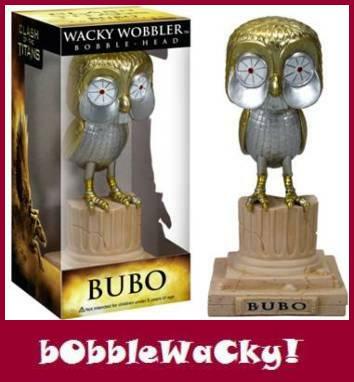 Vinyl bobble-head figure stands about 7" tall with extra wide base. Figure mint in box though box shows normal shelf wear. Don't be a ssssssnake, buy me now!